Alexander Wang suede sandals. 4.3" stiletto heel with metal-trimmed platform. Strap bands square-cut open toe. Adjustable ankle strap. Leather lining and sole. "Cady" is imported. T by Alexander Wang classic cropped tee. V neckline. Short sleeves. Patch pocket at front left. Relaxed fit. Straight hem. Pullover style. Rayon ecosil. Imported. 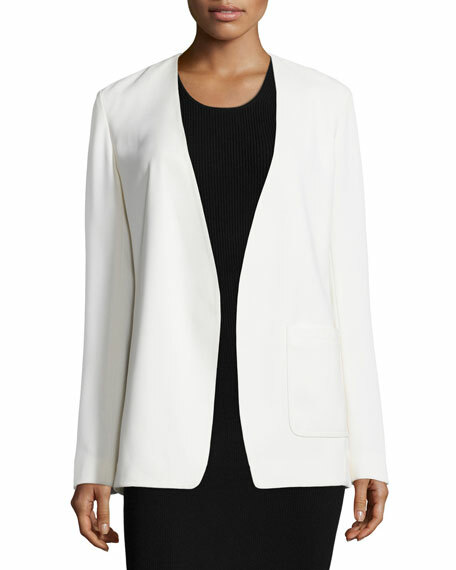 T by Alexander Wang blazer in crepe. 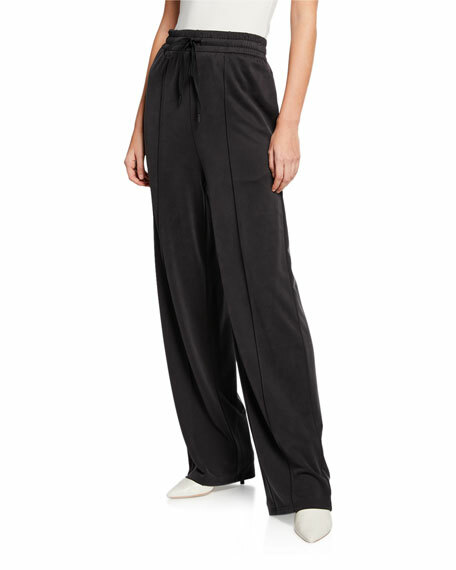 Collarless V neckline; open front. Long sleeves. One patch pocket at left hip. Relaxed, straight-cut fit. Center back vertical seam. Straight hem with back vent. Polyester. Imported.